The Blade: What what? 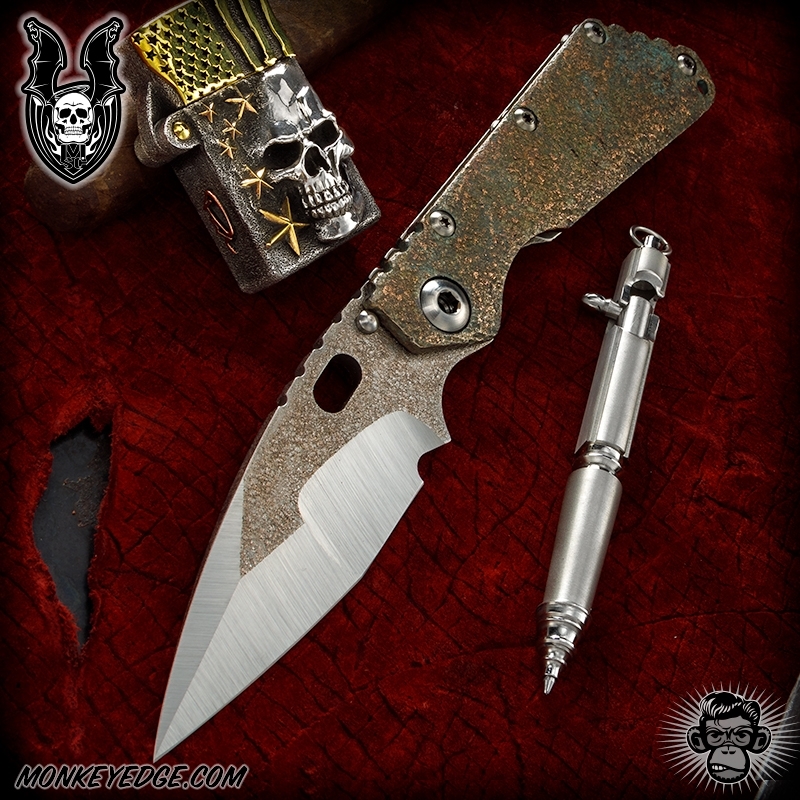 Mick Strider Hisstasu style tanto with Nightmare Grind? Straight wicked! Satin grinds with Mick's new impregnated metal textured finish on the flats. Choil is hand signed M. Strider. The Frame: Classic 'flat' or 'lego' as some call it profile. Mick has been working with some crazy machine we jokingly call the 'Manhattan Project' as he is getting it to do things that it was never designed for. This full titanium frame has been completely hand textured, even with a bit of contouring, and various other metals, copper, etc. is deposited right onto the frame. The entire frame has received the treatment, including the edges and perimeter. 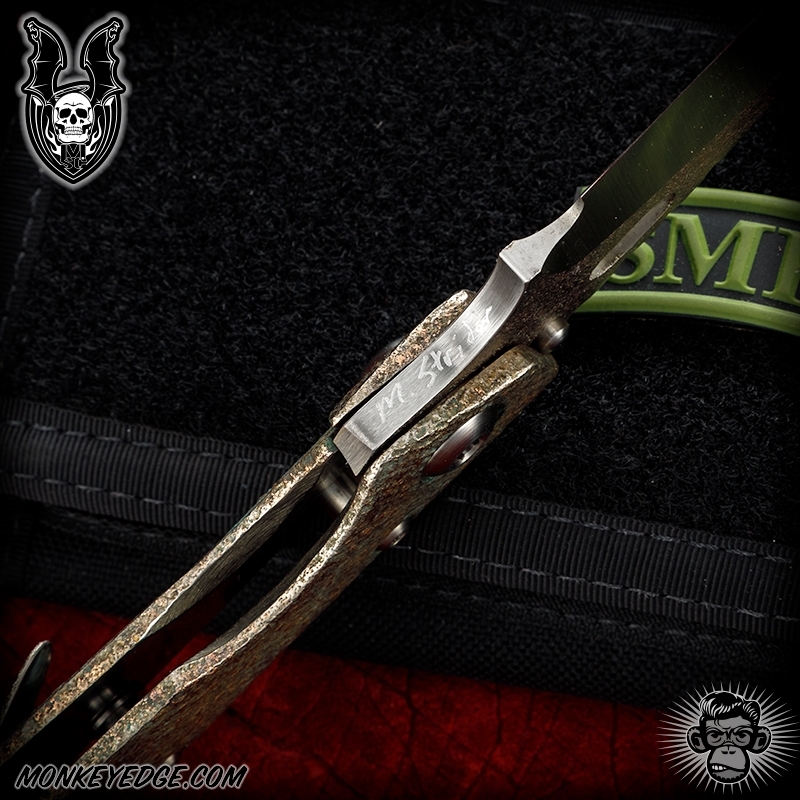 All natural satin hardware including Mick's new pivot design. 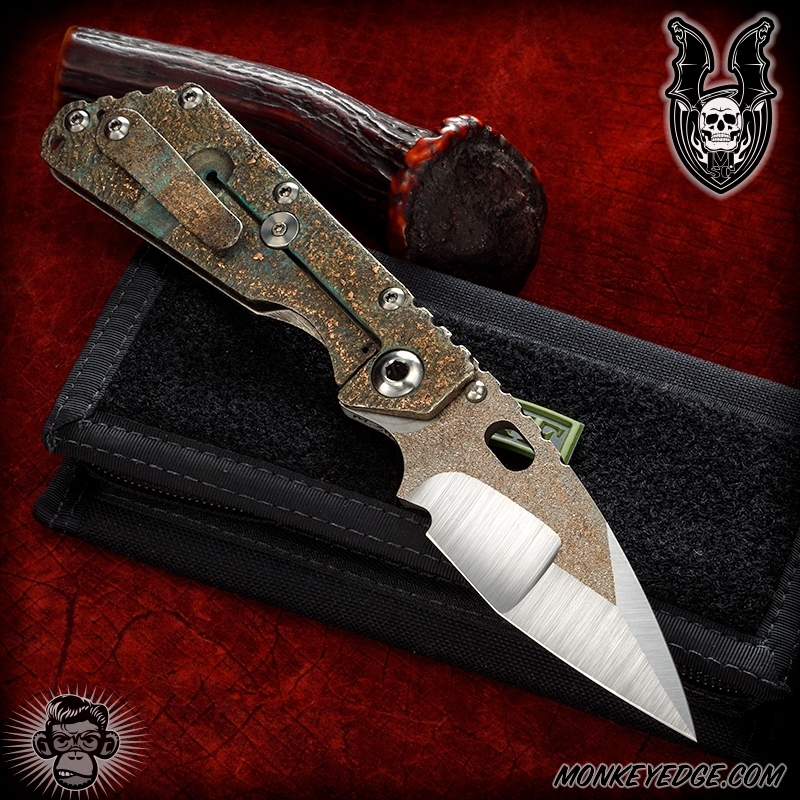 Titanium pocket clip with copper deposits as well.